Please contact us if you would like more information or a no obligation quotation about our wedding favours. From individually wrapped chocolate truffles which form part of your reception table decor, to hand-crafted bespoke gifts to thank Bridesmaids, the Best Man and other special guests, we can help you make your Wedding Day that bit more special. 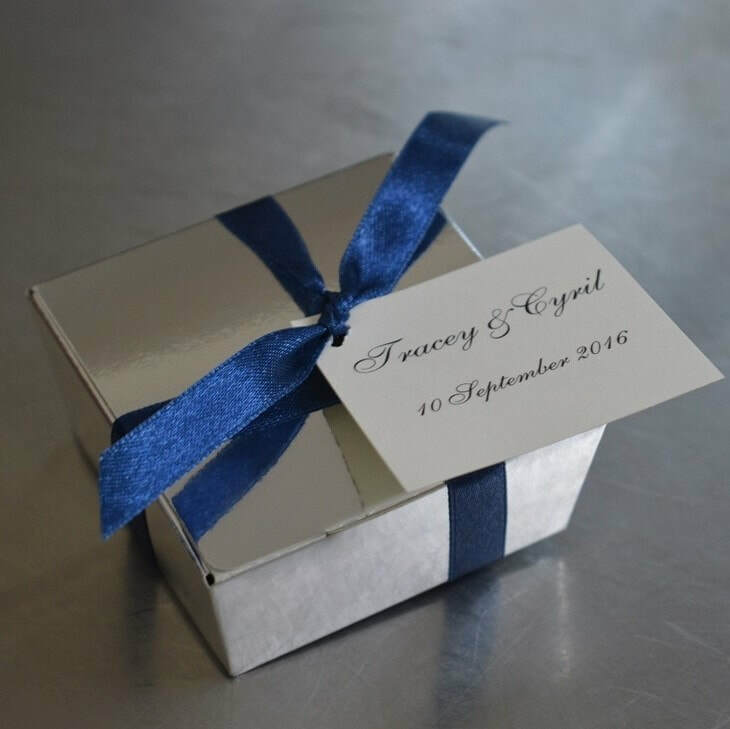 As well as a choice of chocolate, we can also personalise the packaging to co-ordinate with your wedding colours and style. 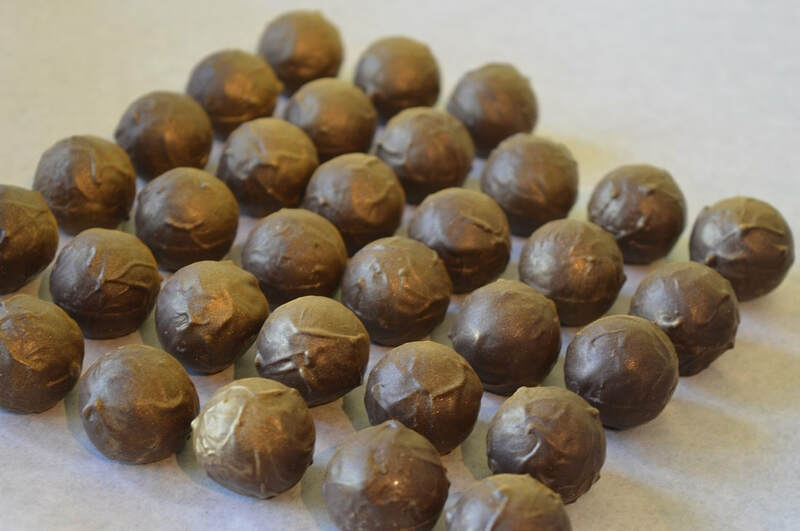 For larger gifts 2- and 4-chocolate card ballotin boxes, filled with either chocolate truffles/filled centres or solid shapes (or a combination) are available. All ballotin boxes include a card inside with a personalised message from you. Alternatively we can wrap the boxes with ribbon to suite your colour scheme and add a bespoke label on the outside. 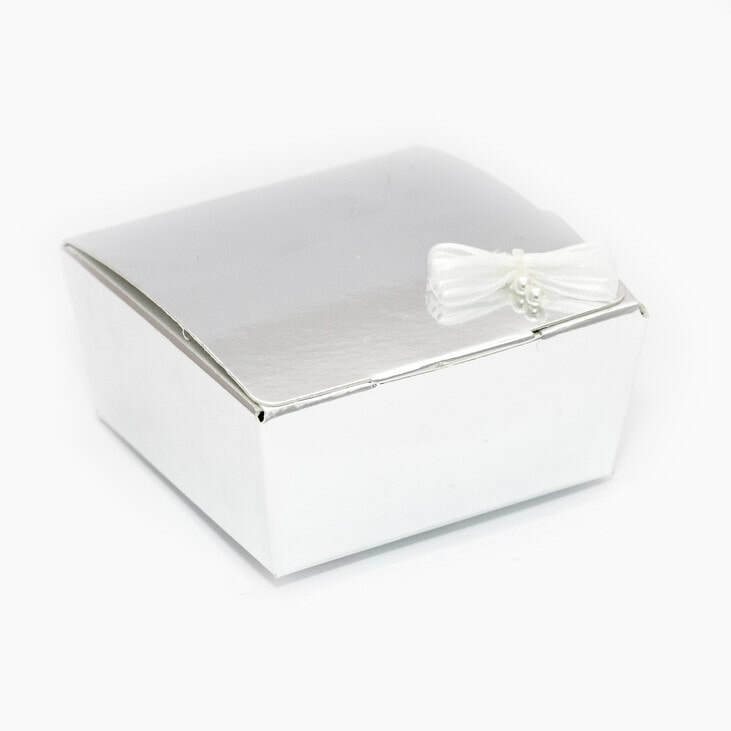 This might be a nice little keepsake for your guests to remember your wedding by long after the chocolates inside have been eaten! 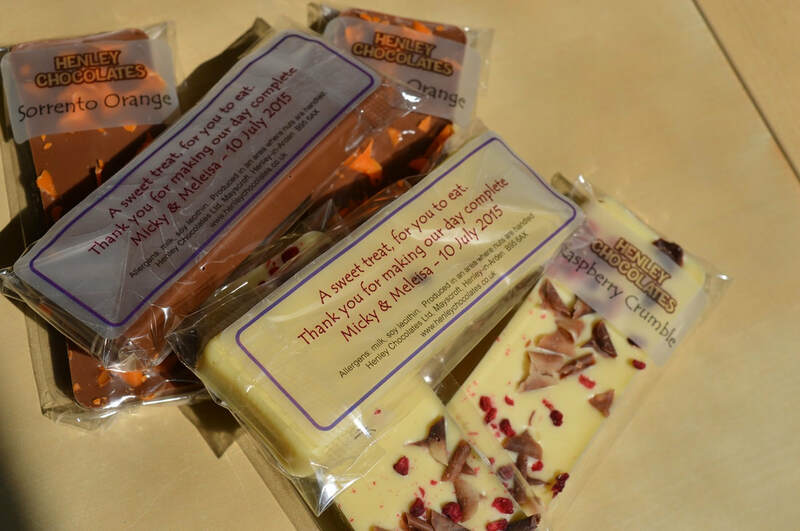 ​Request bespoke bars to complement your reception menu or opt for bars chosen from the artisan range in our shop. 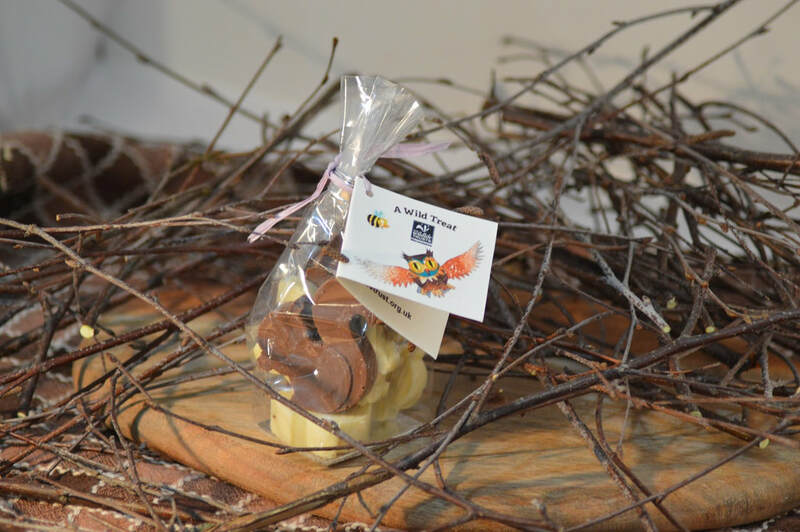 We can add a personalised message to the packaging, which will serve as a unique keepsake for guests long after they have enjoyed eating the delicious chocolate. We are more than happy to discuss plastic-free and environmentally friendly wrapping options. For thousands of years and in many cultures round the world, eggs have been (and still are) a symbol of life, fertility and rebirth, encapsulating many of the spiritual aspects of matrimony. 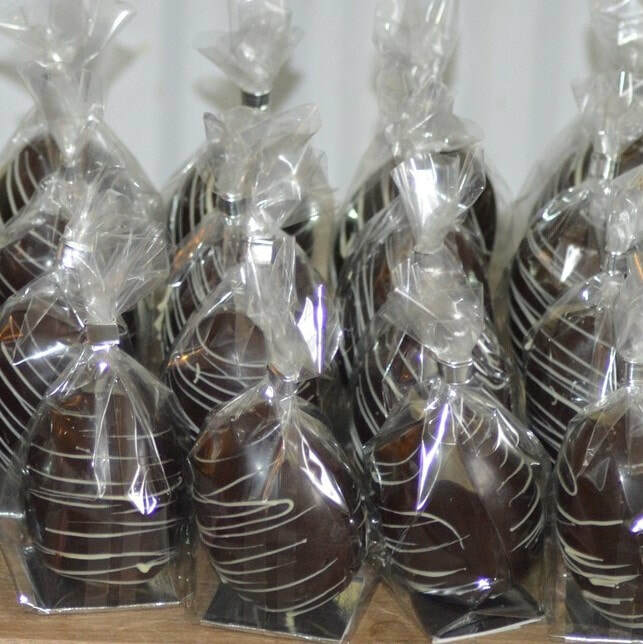 Either as a symbol of your spiritual beliefs, or just wishing to give your guests a slightly quirky unique favour, to set your wedding apart from others, our bespoke chocolate eggs are ideal. The eggs, designed specially for you, come prettily wrapped in clear cellophane. You can also add an element of surprise to these wedding favours by including a small chocolate shape inside each! Younger guests such as bridesmaids and page boys may play an important role on your special day. Why not thank each with a bag of our fun chocolate shapes? You can opt for those available in our shop (such as a herd of dinosaurs, a prickle of hedgehogs, building blocks...) or request bespoke shapes for that highly personal and thoughtful 'thankyou'. You can even make your own wedding favours with our team of chocolatiers​​. Contact us to arrange a meeting with one of our team of chocolatiers to see how we can help to make your wedding day all you had dreamed and have a look at our at our range options for personalising the chocolates themselves.